Canada has it all, close to home – city driving, open highways and off road adventures. If your current vehicles struggles with any of that, it may be time to consider the stylish and safe 2016 Subaru Outback. 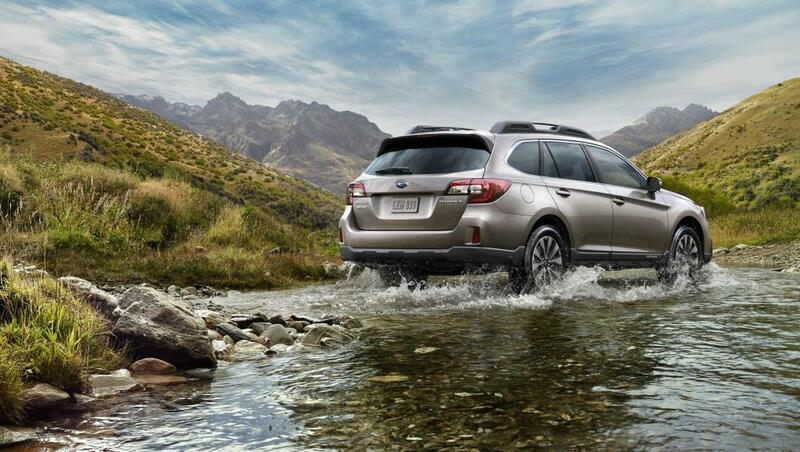 An industry leader in performance, handling and safety, Subaru offers a vehicle that fits your needs. Enjoy the security and ease of winter driving with the symmetrical all-wheel drive and car-like handling that only Subaru can produce. Choose from the efficient 2.5i or the powerful 3.6i Boxer engines, both available in the 216 Subaru Outback to give you the fuel savings or performance you need. All vehicle packages feature ample cargo storage to comfortably fit your family and all the gear you need to make a weekend a memorable event. Available features include voice-activated dual climate zones, 7-inch color touch display and 12-speaker surround sound with built in amplifier to give you a fun and comfortable driving experience no matter how long the trip. Gemini Motors, your full service Subaru dealership in the Kitchener and Waterloo area, has experts at the ready to help you find the 2016 Subaru Outback that best fits your needs. Close enough to be convenient with the service and touch of a small town dealership, the team at Gemini Motors stands ready to complete your Subaru experience. They keep a large inventory of new and used Subaru vehicles on the lot or will work with you to find, build and customize the Subaru that most ideally fits your needs. With a talented team of parts and service experts, Gemini will help you keep your Subaru looking and driving like new with genuine Subaru parts and certified technicians with extensive experience. Subaru’s reputation for performance and safety is legendary; enhance your experience by taking the best possible care of your Subaru so it can keep getting you to your adventure destinations. 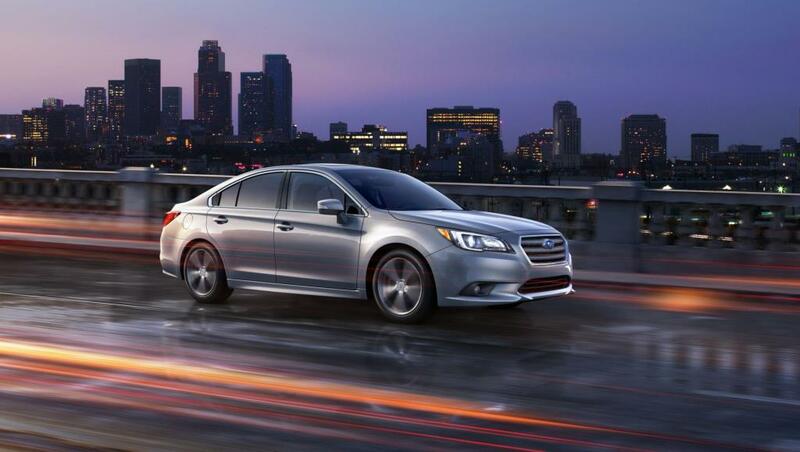 You’ll find great deals on the 2016 Subaru iM at Gemini Motors. This sporty, versatile hatchback comes at a great cost and offers great fuel economy and performance. You get everything you want and more in a compact car, with plenty of interior room for a car its size. The 36 mpg highway miles gives you fuel economy that’ll save you plenty of cash at the pump. When paired with the reasonable price tag that the vehicle comes with, you surely will not be breaking the bank when you decide to roll with this car. The 1.8L/110 engine ensures that you have a car that packs a punch for its size. The 6-speed manual transmission comes with front wheel drive and is equipped with overdrive. You’re sure to have a smooth ride no matter where the road takes you, with the real fun starting when you hit the open road. The standard rearview camera, stability control, ABS, and a full roster of airbags work together to ensure you and your passengers are safe at every turn. The 4.2-inch multi-information display, available navigation, dual-zone automatic climate control, Bluetooth, heated mirrors, and a USB port are just some of the many added features that make the Scion iM comfortable, reliable, and enjoyable on the road. The six speakers with Pioneer audio give you the best in sound quality. Don’t hesitate to reach out to us at Gemini Motors with any questions you have about this or any other vehicle in our inventory. Our staff is here to help with whatever you need to get going on finding the vehicle of your dreams. 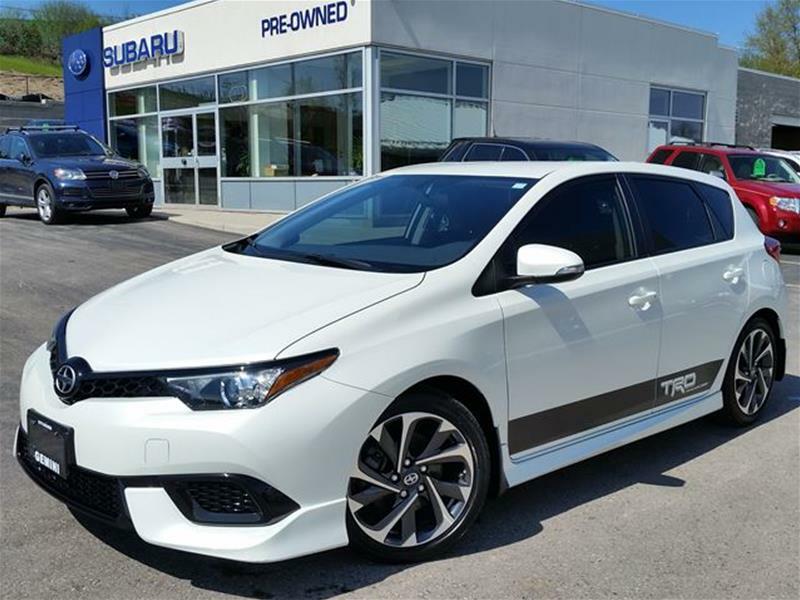 The 2016 Subaru Scion iM is the type of car that performs best when you take it for a spin, so set up a test drive with us today and see for yourself how it handles. Many consumers prefer the Subaru brand for its durability and reliability. That’s why Gemini Motors has stocked this year’s Legacy to provide customers with the car and service they want. This year’s Legacy provides additional features that offer an even more relaxed ride, all the while remaining a smart buy for customers who still value versatility. The 2017 Legacy’s many features make it a comfortable car for many types of people. The Eyesight guidance system helps stop front and back end collisions and the automatic camera watches your blind spot. There are additional features that come with this car that function to make it a smoother ride. Among them are front seats that warm up and multi-region temperature command. Some of the other standard features on this already great model include lights for fog, 45 centimeter wide wheels and an interior in both black and grey with additional blue details. While the 2017 Subaru Legacy has a nice interior, it is hard to ignore the technical improvements made in the past year. The car itself runs on a powerful four-cylinder, 2.5-liter engine that produces 175 horsepower. Not only do the additions on this latest model make it a good deal, they also increase the ways the Legacy can be used. The legacy’s wide appeal is due to its many features that can be useful in a number of different driving situations. Moreover, all of the great add ons this car can have do not necessarily equate to a loss in off road versatility. The 2017 Legacy comes with off-road drive, which can be a smart investment for people living in places with adverse climates.The power and versatility of this mode can be of serious interest to Subaru fans and first time buyers alike. The many features in this car and its on road capabilities add up to one car that you might not want to miss out on. When looking for the perfect car, it’s important to consider practical things like safety features and efficiency. However, sometimes you just need to think about what type of car you’re going to enjoy driving. The 2017 Subaru BRZ is a lot more than just a daily driver. Even the standard trim comes packed with quite a few nice features. A light chassis means that you enjoy excellent control over your vehicle and responsive steering. Because it’s a sport coupe, you get fun weekend driving and a nimble steering. This is a car that makes a statement, and one that can deal with any surprises with excellent handling and control that’s unparalleled among its competition. There’s no point in thinking about making a decision until you see all of your options in person. Come on down to see us at Gemini Motors and take a look at the selection. If it turns out that you don’t want to drive off in a BRZ, we have other options for you. 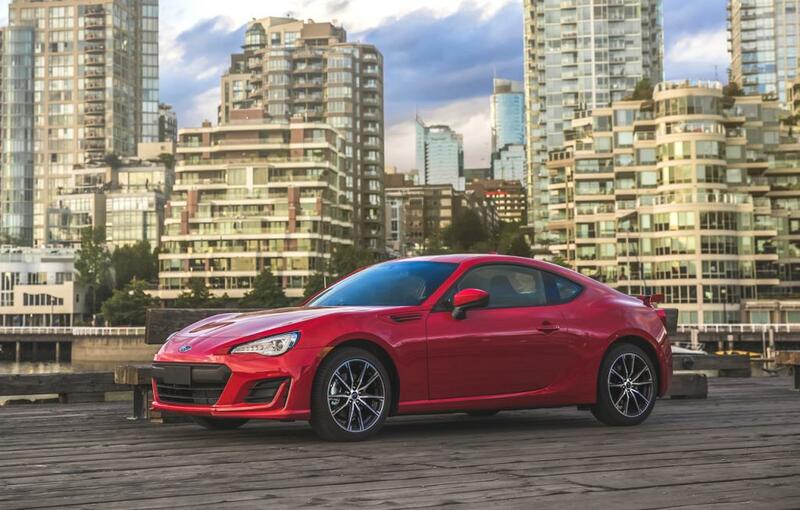 The BRZ has a standard six-speed manual and an automatic 6-speed with performance shifting optional. The engine is a 2-liter four cylinder that gives you 205 horsepower with the manual and 200 horsepower with the automatic. You get respectable fuel economy for the class. Apart from the great handling and solid acceleration, another contribution to the great diving experience of the BRZ is the ergonomically correct driver’s seat. In terms of safety features, anti-lock brakes, stability controls and front and side airbags come standard. Keeping a sports car tuned and well maintained is a huge part of an enjoyable ride. That’s no different for the Subaru BRZ than it is for any other performance vehicle. Come on down to Gemini and let us work out a maintenance schedule for your new vehicle. We like to see you, but we still want you to spend more time enjoying the road and less time with the car in the shop. When purchasing a new car, many people choose an all-wheel drive vehicle. 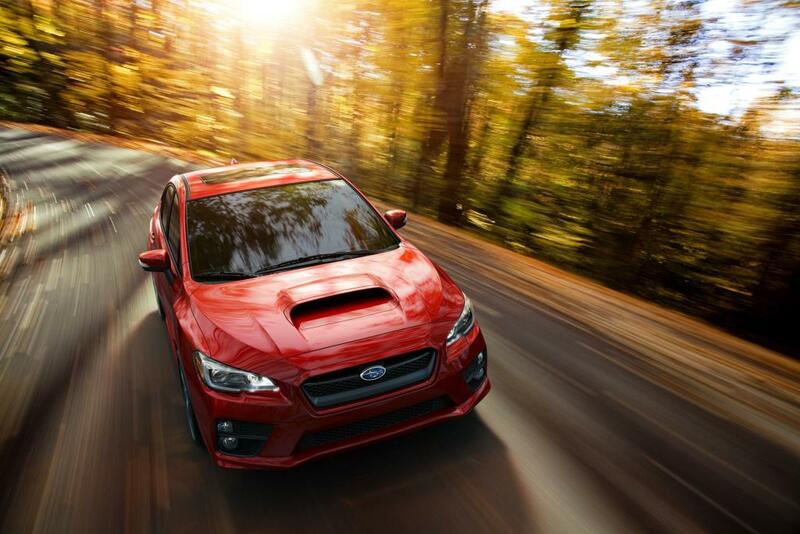 Vehicles like the 2017 Subaru WRX STI are a great example of all-wheel drive automobiles in high demand. If you’re in the market for a new vehicle, you should consider all the pros of an AWD car before making your decision. Many people choose to resell or trade in their vehicle after a few years. When you purchase a car, you don’t want one that is going to lose its value quickly. After all, many people also take loans out on their car and if it loses value quickly, you could find yourself spending more than the car is worth. With an AWD vehicle, you don’t have to worry about the lost value. Most cars have a better resale value than two wheel drive vehicles. One of the biggest benefits of having AWD is that the traction is improved. If all four of your wheels are spinning, you will have an easier time getting off of slippery surfaces. If you live in a snowy climate, it might be imperative for you to have an AWD vehicle. After all, you never know when you may get stuck in the snow. Without good traction, you could have difficulty getting around in poor conditions. Here at Gemini Motors, we want you to be able to drive off the lot with a reliable car. You don’t want to be stuck with a car that can’t weather winter storms. Bad weather is always bound to appear, no matter the season. It’s important to have a car that can handle all kinds of weather. This can give you the peace of mind that you need out of a car. There’s a reason why most people turn to all-wheel drive vehicles when choosing their next car. If you need improved traction, reliability and are interested in resale value, AWD is imperative. Whether you need a new family car or are buying a larger vehicle for the first time, there are many factors you are probably considering, such as safety and gas mileage. However, since the family car is more than just a way to get from place to place, you might want to consider the 2017 Subaru Outback. This is a vehicle that combines convenience with a dash of fun thrown in, and we can show you all it has offer. While safety features and value are important factors in buying a vehicle, when it comes to choosing a car for the whole family, other details, such as leg room, seating options and cargo space are also important. The Outback seats five and provides generous leg room, something that you and your passengers will probably appreciate on longer trips. It also has a great deal of cargo space, with a roof cargo carrier standard on all models and rear seats that fold down to provide you with additional space for your luggage. If your idea of a family adventure is to venture off the beaten path, then come visit us at Gemini Motors to learn more about why the Outback might be a perfect match for your driving needs. We can offer you information about this vehicle’s off-road abilities, such as its all-weather traction control and ground clearance, which is nearly nine inches high for a more improved off-road experience, whether you’re headed to the mountains or the beach. A vehicle that is used as often as the family car should be comfortable enough for all its passengers, and the 2017 Subaru Outback has answered that call with several innovative features. A few you might appreciate include power seating with a memory option and additional padding on the driver and front passenger seats. A family car must be as versatile as it is safe and comfortable. To discover more about the 2017 Subaru Outback or to take a test drive, drop by our dealership today. The 2017 Subaru Impreza has undergone a major overhaul. It’s been completely redesigned to offer some amazing features. It really has people talking around the Gemini Motors lot. Now is your chance to take a look at three of the things that have people falling for this car. The thing that has most people really excited are the improvements in safety. To begin with, Subaru used high-strength steel to increase the rigidity of the structure. There’s been a 40 percent improvement in crash energy absorption. IN addition, the Impreza comes with blind spot detection, front, side and curtain airbags and rear cross traffic alert. The EyeSight system offers a host of options from automatic pre-collision braking to lane keep assist that will keep you safe on the road. Some newer features you can choose include driver assist features and high beam assist. The Impreza has been given a new direct injection engine. It’s more powerful, now boasting 152 horsepower. However, this power doesn’t come at a cost. In fact, the changes have actually improved the fuel efficiency, which is now at 28 city and 37 highway for the non-sport model, but all models have impressive improvements in fuel efficiency. Another great surprise with this model a new look. It’s wider than the older models with wheels being set further apart, and the body is longer. This design change not only changes the appearance but also it offers more room inside and more stability, which adds to the safety. The redesign of the Impreza is pretty exciting because it has really changed many important aspects of the vehicle. It hit on extremely important parts, like making it safer and boosting fuel efficiency. These improvements not only make it a better overall vehicle but also make it better to drive. Plus, it is so much easier to see why the Subaru Impreza is well worth your consideration. If you need a vehicle to handle both your weekend warrior outings and the daily grind, then Gemini Motors is confident that the 2017 Subaru Forester is the perfect SUV for you. This model comes with standard all-wheel drive, as well as a spacious cabin, advanced safety features and design perks geared for the off-road enthusiast. Its engineers continue to update the Forester with its target buyer market in mind, and the 2017 version is certainly no exception. Most versions are equipped with a 2.5 liter 4-cylinder engine as the standard. However, some models, such as the 2.0XT Premium, allow you to select a 2.0 liter 40cylinder turbocharged edition instead. If you’re looking for more powerful acceleration when you put the pedal to the metal, choose the turbocharged option for your vehicle if you can. The new model comes with two rows of seating, for a standard capacity of five people. With its cargo bay, it’s perfect for packing up the family and your luggage for a long-distance getaway, loading up on your weekly run to the grocery or tagging your tech along for your offsite meetings and conferences at work. And don’t forget about the additional ground clearance, added in for off-roading fun. The 2017 Subaru Forester is a champ when it comes to safety options and advanced features. The new versions offer a heated steering wheel and front seats, as well as its EyeSight driver assistance technology that monitors traffic and warns you if you’re drifting from your lane. The Subaru STARLINK system also gives you access to benefits such as roadside assistance and stolen vehicle recovery, as well as serves as a multimedia hub with a vast range of tech services at your fingertips. Your new Forester is waiting for you at Gemini Motors. Select from our available models for your off-road excursions, your daily commute, your on-the-go errand running—or everything your life throws at you. With all of its bonuses, it’s time to upgrade to this all-around champ.